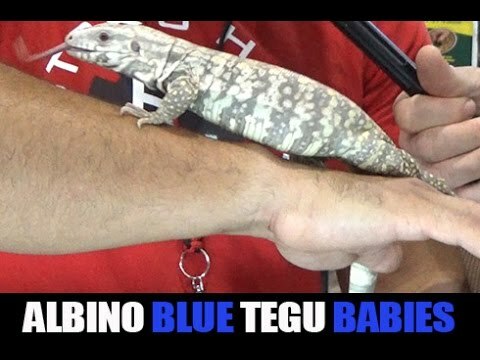 Tegu Talk - An albino blue tegu fresh from the incubator has a stunning pastel coloration. Tegu Talk - This neat progression thread shows the handsome growth of a blue tegu over five months. Aussie Pythons forum - Photos of a completely black and an albino blue tongue skink breeding—what will the offspring from these beauties look like? Australian Reptile Forum - A request for information on albino blue tongue skinks turns into a discussion on eye sensitivity, BTS morphs, and pictures galore of these beautiful animals.